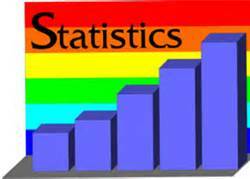 Tucson Housing Statistics June 2015 are from the Tucson MLS. The Tucson Association of Realtors operates the Tucson MLS System. Tucson Statistics June 2015 show continued year of year improvement in the Tucson Real Estate Market. Tucson Housing Statistics June 2015 show the current months data for the Tucson Real Estate market. Check the month to month data for 2013 and 2014 and Annual Data for 2006 to 2012 to find trends in the market. Questions about our Tucson Housing Statistics June 2015 Report or Tucson Homes for Sale? Call Us 866 316 5575 OR complete the CONTACT FORM and we will get right back to you! Review Our Monthly Tucson Real Estate Newsletter – Here! If you want to receive our monthly newsletter and email updates on new Tucson home listings, please submit the easy registration form or the Contact form – above.